Malaysia is rapidly growing nation, on the pathway to becoming highly industrialized. 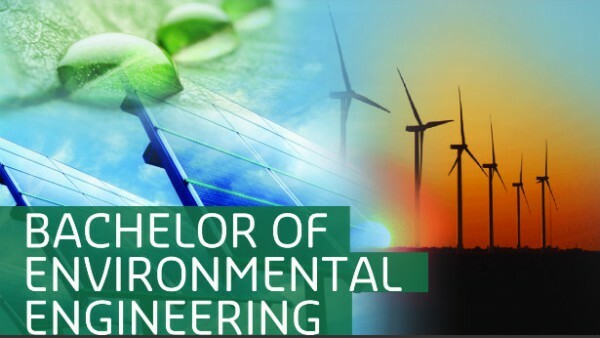 Environmental engineering is predicted to be one of the fastest growing disciplines in the near future. Within the broad scope of environmental engineering, areas earmarked for growth include water treatment, solid waste management (including industrial and hazardous waste management), and domestic and industrial waste water treatment. Environmental engineers work to protect and manage natural resources, air, water and land. They also highly sought after for areas such as environmental impact assessments, air pollution prevention and control, environmental monitoring / management systems, environmental consultation, soil erosion prevention measures, noise monitoring / control, development of recycling systems and oil spill recovery. Overall, the demand for environmental engineers in the country is growing rapidly. Why Environmental Engineering at Curtin Sarawak? Environmental engineers play a vital role in maintaining the quality of the environment by designing and implementing sustainable and environmentally – friendly systems. Our degree will equip you with an integrated knowledge of multiple engineering fields in order to provide you with an innovative and creative engineering experience. Environmental Engineer, Environmental Quality Control Engineer, Occupational, Environmental, Health & Safety Engineer, Environmental Enforcement Officer, Risk Assessment Engineer / Executive, Site / Resident Engineer, Public Health Engineer, Site Remediation Engineer, Landfill Engineer, Water Supply / Resources Engineer, Pollution Control Engineer, Sustainability Development Executive, Environmental Technical Contractor, Sales Engineer / Executive, Environmental Entrepreneur.